In 1969, I ran for the Virginia state Senate as a Democrat. Not because any party grandees came to my door and begged — or even suggested — I throw my hat in the ring. I did it because I talked with my friends and neighbors in Richmond and across the state. We thought the time had come to elect a black member to the state Senate and that I had the ability to win that election. We decided I could bring about a needed voice for change for the people in our neighborhoods, our city and across our commonwealth. After 16 years in the Senate of Virginia, four years as lieutenant governor, four years as governor and four years as mayor of Richmond, I think we did just that, but history will have the final judgment. I wanted to ensure that my being there would make a difference, not just for the purpose of integration, but for the measurable and definitive inclusion of all of Virginia’s people in the governing process. I fought for and was proud to see the first black judges appointed to the bench. I fought for and insisted upon the redistricting plan that ultimately was approved by the Justice Department, creating the first congressional district in Virginia won by a black person since Reconstruction. That plan also increased the number of black members of the state legislature. Though to some it may seem a small thing now, I was able to garner bipartisan support for Virginia to become the first state legislatively to declare a holiday for Martin Luther King. No one in either party took the black vote for granted, and Democratic office seekers paid the ultimate price of defeat when they chose to do so. But I am grateful to the Democratic Party I helped build in Virginia and was able to help build nationally while I held office as a member thereof and since I have returned to private life and academe. So where is the party nationally today, and what does it need to do to gain and hold the faith of the electorate in the future? First, we must acknowledge that the American public is not happy with either political party right now. When the people look at Washington, they see elected politicians fighting petty battles over small issues that barely affect the lives of those living outside the Capital Beltway. Will anyone address the fundamental issues of today with maturity and deft? In that point is the key to the success of the Democratic Party in the future — or the Republican Party, if it figures out this lesson first. 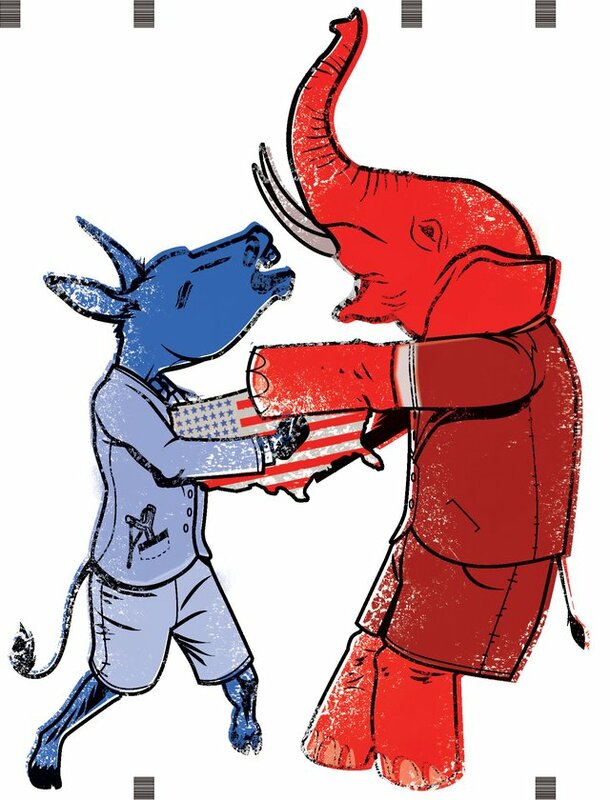 The party that buckles down and presents itself as the serious, grown-up party, unconcerned with petty partisan battles, that cares more about solutions, actually will, to borrow a phrase from the president, win the future. To do that, the party must assemble a Democratic coalition not built on personalities, though it must have many a strong personality involved. No, instead, the coalition must be founded upon ideas and issues. The party must articulate a specific vision of where America needs to be in the future. It must appeal to the moderate middle. It should be built by the people for the people, not by any special interest group. How does a party decide what to focus upon as it builds and presents this new American agenda for the 21st century? Listen to the people. I often have said the people are ahead of the politicians, and they are. The parties, surprisingly, do not pay enough heed to that fact of political life. What did Americans want Democratic majorities to do when they handed the party the reigns of power in 2008? That is a simple question to answer: Concentrate on the economy and jobs. Polls tell us voters don’t think that is what they got. They got a stimulus bill and pork, not the infrastructure repairs they had been promised and the nation needed. They saw increased deficits and were treated to talk of higher taxes. They got a health care plan that wasn’t well explained or at the top of the agenda for many Americans. The federal budget is headed for what many commentators are calling the fiscal cliff. If tough decisions are not made by early next year, automatic cuts in the social safety net and the national defense apparatus will be imposed, and unbearable taxes will have to be raised on a populace that cannot support them during a period of fiscal distress. Have we heard much discussion about this and how to avert it from either campaign? Unfortunately, no. That is a problem. Barack Obama says he wants to help move the country “forward.” Mitt Romney and the GOP spent a week at the Republican National Convention saying Republicans “believe in America.” The people are looking for either, but with no specific vision being offered during this election, voters have reason to believe the parties can do better.